2016 is going to be another huge year for movies. The anticipation for some big summer blockbusters is already building, with teaser trailers, images and rumours fuelling the excitement. This is the list of the movies I’m definitely going to the cinema to see this year. The films I’m most excited about, interested in or just must-see because of the franchise it is a part of. Some are obvious, some are slightly obscure. It’s the year of the superheroes but my prediction is that this group of super-villains will steal the blockbuster season. Finally seeing Harley Quinn on-screen is possibly the most exciting prospect, but add that to Jared Leto’s divisive take on The Joker and Will Smith as assassin Deadshot and you have the most intriguing and potentially most original comic-book film of the year. Regardless of your opinion on Man of Steel, DC’s previous film output or the movies of Zack Snyder, the prospect of Batman and Superman finally meeting on-screen is one that should get even the casual of fans interested. The first trailers look impressive and with Ben Affleck strapping into The Batmobile, it could be the success that DC so badly need. 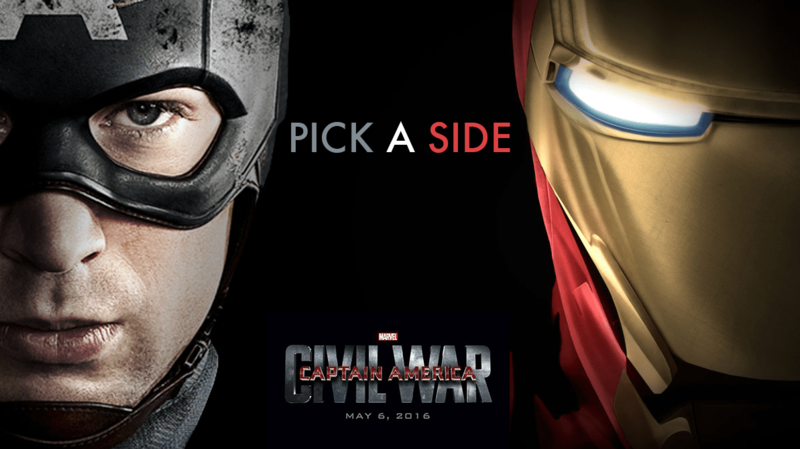 2016 has become the year of the superhero showdown. Not just between different movies but within the films themselves. Captain America takes on Iron Man, as well as other superheroes from the Marvel Cinematic Universe, in one of the best modern comic book stories. The first trailer reveals a very Captain America focused story which should have the wider ramifications that Age of Ultron so sorely lacked. This movie could well become the best superhero film of the year. No exaggeration. Deadpool is an acquired taste but Ryan Reynolds seems to understand what is required to make the character work. He is foul-mouthed, funny, aware of the audience and a despicable anti-hero. This will be linked to the wider X-Men world but will also be the first R-Rated Marvel movie for a while. Maybe if this works, Wolverine could get the R-Rated adventure he deserves. 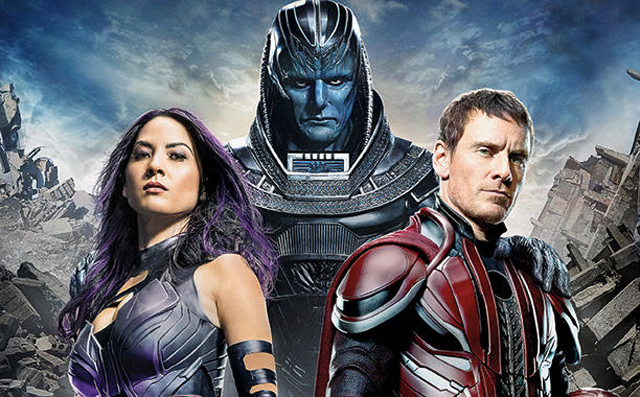 Bryan Singer returned to X-Men triumphantly with Days of Future Past and showed that many characters within one large and quite complicated story can be successful. He will have less characters but larger odds as Singer brings the mega-villain Apocalypse to the screen. This movie should be big, promising an end to Mystique’s story, a bald Professor X and the introduction of new versions of Cyclops, Jean Grey and Storm (to name a few). Very exciting. This movie almost didn’t make the list but the fact that it is part of the wider Marvel Cinematic Universe means that it will demand a viewing. I’m wary of another origin movie but Doctor Strange has enough that makes his different to anything Marvel have demonstrated so far, that we could get a very unique introduction. Plus Benedict Cumberbatch is playing the sorcerer which can only be a positive thing. Not quite superhero but a heroic individual nonetheless. I’m not a huge fan of videogame movies but Michael Fassbender is bringing this to the screen and if any videogame could transfer well to the movies, Assassin’s Creed is the one. History, conspiracy, free-running and murder; all key ingredients for the first good videogame movie. I’ll admit that I’m stretching hero slightly but Ricky Gervais’ David Brent has always been a hero of mine. I’m not convinced this is a good idea but seeing David Brent return to the screen is an opportunity that can’t be ignored. I just hope it is more Alan Partridge than Ali G! Overall, these are the first 8 in my 16 movies that are must-see this year. Tomorrow will see woman busting ghosts, another story in a Galaxy Far Far Away and Big Friendly Giant, as well as 5 other must-see movies. I’m looking forward to X-Men.